Seems France has found a way to go around leaving colony in the Pacific. This way US doesn't have to bomb like after colonial French were kicked out. Legitimate way to hold onto strategic places even after UN have passed resolution against colonization i.e. hold election after 40 years - last it was in 1977 there. Seems noone gives a fk about democracy like we Indians do, along with related dumbing down of cultural norms etcetera. Happy Diwali every one! May Dharm grow this new year! Wonder ever how those who didn't bath even once a day are selling shampoo in India or is it us who want to copy such a behaviour as more civilized. As more people are out of poverty are these people doing just the same? i.e. more shalpoo imports from the same people. You’ve probably been part of a wishful drawing room conversation discussing how the time may have come to leave India and seek a better life elsewhere. Like me, you might even know someone who has left or is due to leave soon. Maybe you are one of those parents who urge their children graduating in international universities to stay put and not be in a hurry to rush back home. There are enough reasons to leave if you have the resources or the opportunity. In New India, unity hides in a cast-iron statue, its syncretic history compressed in a structure that’s only 183m tall. From dystopian bovine-related lynchings and other targeted hate crimes to air pollution—that murderous equalizer that doesn’t care about your religion, caste, gender, economic background or political affiliation—there are an increasing number of threats your privilege can’t protect you from. Jobs are scarce, and the incidence of cancer is rising alarmingly. It’s no wonder that 17 million people opted out of India just last year—and this during a time when the migration of our unskilled workers fell by 25%, according to the Asian Development Bank’s Asian Economic Integration Report 2018. We topped the list of people leaving their countries—China was a distant second at around 10 million. In recent months, human rights activists have been jailed, elected representatives spew hate speech and any dissent is labelled anti-national. An anti-establishment Facebook post could always get you jail time in India, but now even forwarding a WhatsApp meme against the prime minister can result in an arrest. Once we reacted to such news with outrage, now we shrug. It’s clear to everyone that politics will just get uglier before the 2019 general election. You are at an additional disadvantage if you are a religious minority, woman, Dalit or even the parent of a young child who has a one in two chance of encountering sexual abuse. It’s no wonder people are saying bye. As we found out earlier this year, an Antiguan passport can be had for ₹1.3 crore and a handful of other Caribbean destinations are quite competitively priced. While the US, UK, Canada and Australia have been favourite migration options for Indians for as long as I can remember, countries such as Belgium, Sweden and Norway are making it to our list too, according to a report in The Times Of India that quotes ministry of external affairs statistics for 2017. For young professionals, a better quality of life at these last three destinations is just an airplane ride away. In January, my neighbours Astrid and D, both 32, will leave for Gothenburg, Sweden, where D has found a job as a project manager. They’ve been thinking of moving for the last three-four years, largely because of health and safety reasons and because of an increasing awareness of their religious minority status. Which brings us to the question that’s hanging over many of our heads these days. Why do those of us who can leave, stay? Maybe we stay for those who can’t leave—our parents, our grandparents, or even friends who might need our help if things get worse. Maybe we want to fight for what we believe is our idea of India. Or maybe it’s more selfish. Maybe we stay because we know we won’t be able to exploit household staff in Europe, or because we know that there will be no one to fetch us a glass of water every time we holler. Maybe we stay because it’s easier to carry the burden of slurs such as urban Naxal and anti-national than racial slurs we are likely to face elsewhere. Maybe we are still here because the world is increasingly being ruled by quasi fascists. Here at least, we are boss of our own backyard. Maybe we stay because we feel like there’s no place like India, even if what we call India is essentially the beautiful bubble we’ve created for ourselves. My bubble, for instance, has blue skies, great weather, wide pavements, amaltas and gulmohur. I work from home so my bubble is traffic free. We reside in a mixed neighbourhood and my bubble is largely harmonious; my daughter’s two best friends are Muslim and Christian. Sure we shake with rage and despair every time we sneak a peek out of our bubble, but maybe that’s not enough to start from scratch someplace else. Maybe we stay because despite everything, this is home. Sounds BS to me. So, India's population must be decreasing from last year to this year. What are those countries that are taking in 1.7 million Indians every year? ^^Yep. That number sounds way too high...probably the author (she) made the number up. I do believe that creating new jobs will be an issue for India. Approximately 10 million jobs per annum will need to be created for the next decade or so. A little scary if you give it some deep thought. Ageism will become an issue going forward. Our population addition each month is simply too high to match with job creation. I don't know how she's making up no's esp these large. Nevertheless, there's been an increasing trend to relocate to Canada with easy life or better job. I know many friends b who did it on last few years. Even I'm shifting out too. There's no doubt given a chance lot more than 17 million people would like to go out of India every year. But are they really doing it is my point. The most reliable sources will be adding no.s from Canada (easy to migrate), us Singapore uk (other common destinations). Even there, citizenship is a long time. Like I shuttled between us and India every two months. Did that make me one relocating abroad. Middle East I'm no sure, Peaceful and professionals go there, but don't think citizenship is granted there. Amongst the younger generation another driver is lack of cultural awareness towards India. If you take the cultural and core value system (e.g. ideal family life) away, there is not much which appeals to the younger generation about India especially when media keeps drawing comparisons with the west. For NRIs the best thing to do on their India visits is to explain to the younger relatives or friends who look upto them about the importance of being born in India and other aspects such as ideal family and social life. It may sound a bit hypocritic at first but people will not have any reason to doubt if it comes from someone who has been outside and still feels why India is better. It will not stop people from looking out but they will certainly draw comparisons on those aspects when abroad and not tend to drift away behind something which is only superficially 'cool'. Has anybody joined gutrgoo? It's teetar alternative but completely desi owned. With Jack meeting up with Raul, SM battles may not be as easy as before. I have joined gutrgoo and am urging all to move over and quit teetar. I did. I posted about it in the SM thread. Some others from here joined it too. 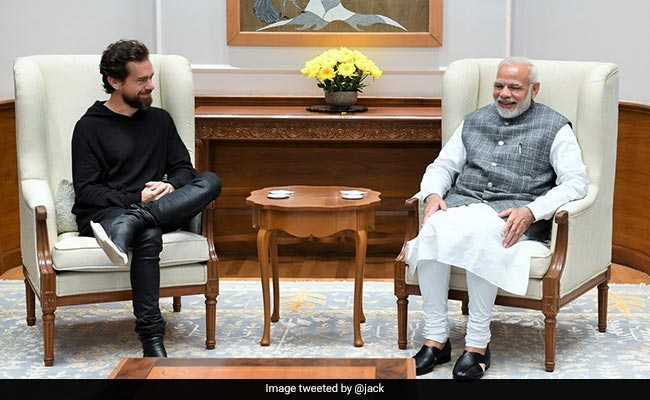 Jack met with Modi also. since twitter blindly supports librandus, they will continue there while RW tend to join gutrgoo etc. This will dilute RW force on SM , besides gutrgoo et al will only get popularized if Modi & Co join. they still have 6 months to do this. Sir, most of the NRIs are more aware of Indian values and culture then Indians living in India. This topic was beaten to death on BR. Lets not make assumptions. The waves are higher than the pamban bridge in Rameshwaram and a guy on a two wheeler is actually crossing the bridge. It looks like you are right. Good catch.